Home Articles Google Sandbox: Myth or Reality? 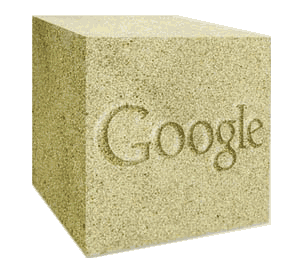 A lot of talk still exists today about whether Google has a sandbox or not. With “sandbox” we understand a place where new blogs and general sites go to “age” before being included definitely in the relevant search engine results. Google denies it exists, although Matt Cutts said in an interview that: “There are some things in the algorithm that may be perceived as a sandbox that doesn’t apply to all industries”. Of course, I’m not going to say that the sandbox effect does exist. Instead, I will say that about a year after one of our other sites went live, there was a large increase in incoming search engine traffic from Google. This test period allows Google to watch things for an extended period of time and check if the site is real and active or if it’s just some cookie cutter site that won’t ever get updated or worked on. Google likes sites that get updated frequently and your visitors will like this too. So using this period of time to set things up and build a rich content reputable site, is a very good move. I know that many sites are not just a hobby, but also they are looking to make a revenue or some profit with it in the long run. However the idea of starting it as a hobby is not bad at all, since you are mentally ready to work on it, and to not expect a big revenue during the first year. That way you avoid losing your motivation or energy. After you emerge from the so called sandbox, you will see traffic and attention begin to increase. Blogs, Google, Optimization, Seo. Bookmark. I c…. now i understand what is all about, thx for such as interesting info..
Google search has collected every test page I made on the blog while tuning the look….